This edition of MRM's News Bites features Chick-fil-A and DoorDash, JPMorgan Chase, Zoës Kitchen, sweetgreen, Taco Bell Foundation, Toast, GP PRO’s Dixie® brand and Sterno® Delivery, LBP Manufacturing and Dominion Packaging, Yumpingo and Omnivore, ParTech, KFC and Carnival Cruise Line. Chick-fil-A® within a 10-minute radius of a store are now in luck. Starting today, the restaurant company is officially offering delivery from more than 1,100 of its restaurants nationwide as part of a partnership with DoorDash. Chick-fil-A announces partnership with DoorDash. "So many of our guests' busy lives and family commitments have them strapped for time. Delivery is one way we can help them get a quick yet high quality meal," said Jon Bridges, Chick-fil-A senior vice president and chief marketing officer. "If they're unable to come to us, we'll come to them." Nationwide delivery continues Chick-fil-A's work outside its physical restaurants. So far this year, the company re-launched the Chick-fil-A Mobile App, opened its first delivery-focused locations in Louisville and Nashville (with door-to-door delivery available via DoorDash in Nashville), and is testing Mealtime Kits in Atlanta restaurants. To maintain both DoorDash's commitment to high-quality service and Chick-fil-A's food quality, deliveries will be made to customers within a 10-minute radius of participating restaurants. Chick-fil-A has been testing delivery with DoorDash since 2017 in select markets. Since the pilot began, both Chick-fil-A and DoorDash have invested in custom-built technology integrations to ensure order accuracy and a smooth delivery experience for customers. Through this partnership, Chick-fil-A will ensure a best-in-class customer experience by integrating DoorDash into its Point of Sale (POS) system. POS integrations allow DoorDash to scale additional Chick-fil-A restaurants at a faster pace while ensuring a better experience for the customer and the restaurant team by integrating with Chick-fil-A's kitchen management system. "Chick-fil-A's standout business momentum is a testament to how they listen to what their customers want," said Christopher Payne, Chief Operating Officer at DoorDash. 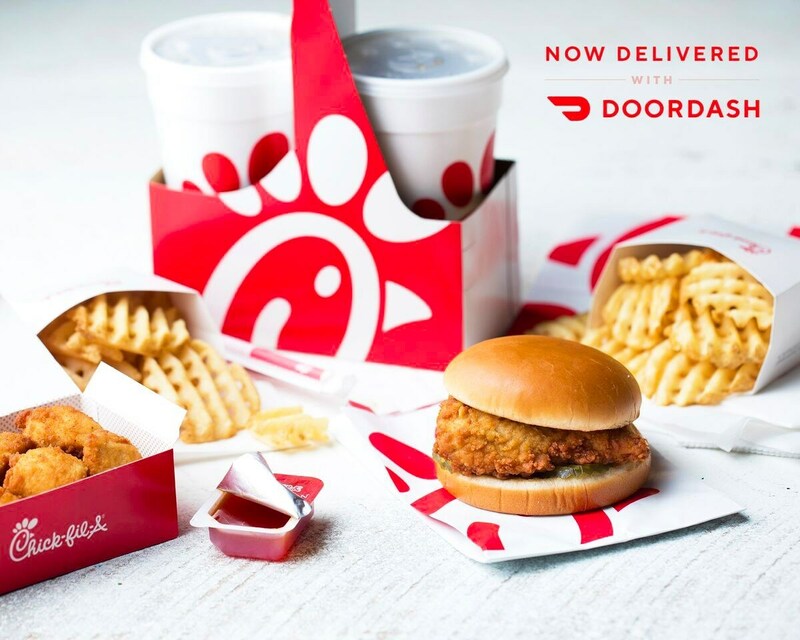 "Customers expect convenience without sacrificing quality, and DoorDash is thrilled to provide that level of service to Chick-fil-A's loyal fan base through door-to-door delivery. We're proud to be a part of their journey and provide new ways for customers to enjoy their favorite Chick-fil-A menu items from anywhere." Chick-fil-A is also testing delivery in select markets with other partners and franchisees, and offers pick-up service and mobile ordering via its Chick-fil-A Mobile App. JPMorgan Chase’s Commercial Bank launched the Franchise and Restaurant Group within its Middle Market Banking & Specialized Industries (MMBSI) business and appointed Michael Pura to lead the effort. The Franchise and Restaurant Group will work with established and high growth restaurant chains and groups to provide tailored banking and financial solutions, including credit and financing, treasury and merchant services, commercial cards and international banking. Clients will have access to the Chase Connect digital banking platform to manage their finances, pay bills, receive and transfer money and more. The group brings together JPMorgan Chase’s decades of experience covering franchise and restaurant clients, and will partner across the firm’s other lines of business including Investment Banking, Private Banking and Asset Management, to meet clients’ long and short-term needs. Pura will lead the Franchise and Restaurant Group from the firm’s Chicago office and report to Nunn. He joined JPMorgan Chase in 2017. Prior to that, he spent 20 years at Wells Fargo and predecessor companies managing teams of coverage bankers in the commercial and industrial, franchise and healthcare sectors. He also has a background in internal audit and six sigma processes. 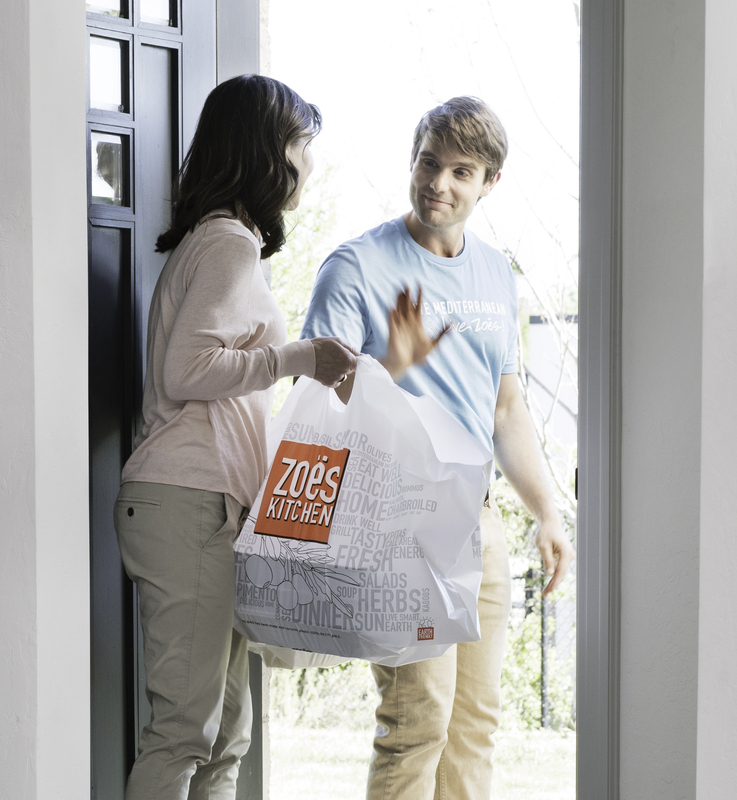 Zoës Kitchen now offers direct delivery from 231 of its restaurants. Powered by DoorDash, Zoës new delivery capability allows guests in participating markets to order directly from the Zoës Kitchen website or via its mobile app. sweetgreen secured a $200 million financing round led by Fidelity Investments. JPMorgan acted as sole placement agent for this offering. This funding round values sweetgreen at over $1 billion. This round will bring total equity raised to approximately $365 million since inception and positions the company to create a new food platform with expanded menu categories and innovative retail formats. Digital Platform: With over 1M people on its digital platform and almost 50% of customer orders processed through the app or online platforms, sweetgreen believes that software focused on personalization can help to meet customers growing demand for easily accessible, real food. Supply Chain + Blockchain: sweetgreen views blockchain as the most viable solution available to enable radical transparency at a systematic level, which in turn can create better tasting produce and insights around each ingredient from seed to restaurant. Restaurant Expansion: sweetgreen plans to expand their footprint in existing and new markets. Outpost: sweetgreen's solution for free food delivery at the office leverages their existing digital platform and mobile app, allowing companies to offer sweetgreen to their employees. The company plans to expand the program. Social Impact: sweetgreen plans to further its mission to “build healthier communities by connecting people to real food” by expanding its “sweetgreen in schools program”, which reimagines school cafeterias and food education. The Taco Bell Foundation is ahead of schedule to meet its commitment to award $10 million in Live Más Scholarshipsby 2022, and more than doubled that commitment to a total of $21 million by 2021, top photo.The Taco Bell Foundation is also opening its Live Más Scholarship application today for the fourth year in a row, with more than $4 million on the table for passionate young students, $1 million more than what was awarded this past year. The launch comes amid national attention on education access – during American Education Week and National Scholarship Month – to bolster awareness about the opportunities available to students. 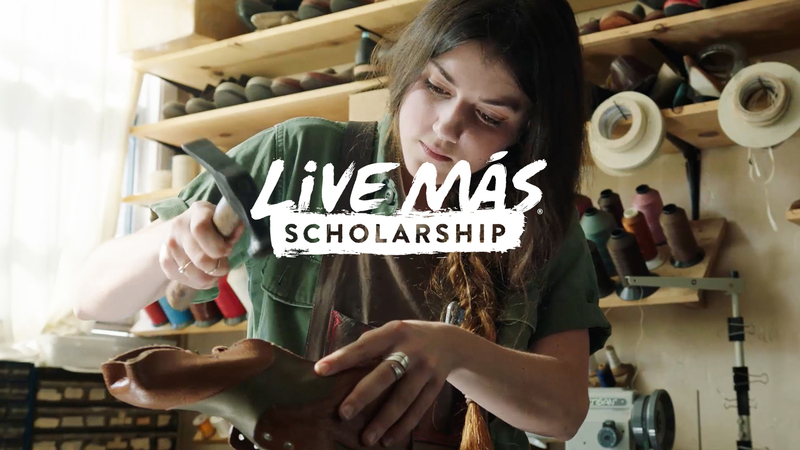 The Live Más Scholarship program primarily supports post-secondary education and opportunities for students aged 16-24 to pursue their unique passions that may not necessarily fit into the typical “academic” or “athletic” scholarship categories. The application requires a two-minute video describing your passion. No grades, essays or test scores required. The application will close on February 21, 2019 and winners will be announced in Spring 2019. In this round, $4 million will be awarded, with scholarships ranging from $5,000 – $25,000 per student. The Taco Bell Foundation will award $1 million to Taco Bell team members including new scholarships and renewal scholarships (additional funds for those who have won in the past), and $3 million will go toward both new and renewal scholarships for young people nationwide. 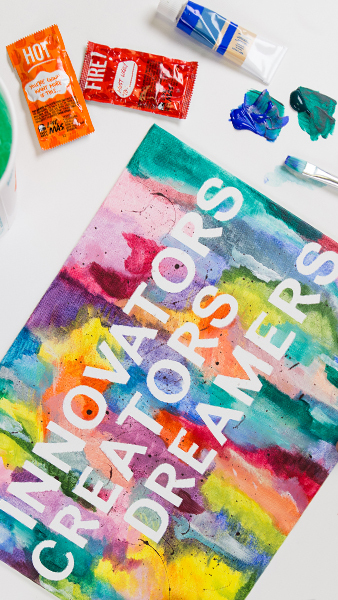 In the first three years of the scholarship, the Taco Bell Foundation has already awarded $5.8 million in education support to nearly 600 students, including Taco Bell employees. Students in the program have also been given access to opportunities beyond finances, through workshops to help develop personal and professional skills and the Taco Bell Foundation’s partnership with MENTOR: The National Mentoring Partnership into foster relationship-building. Small Business Saturday, created by American Express in 2010, is a day dedicated to supporting the independent businesses that make our communities unique and provide invaluable contributions to our economy. As an American Express credit card processing partner and Small Business Saturday sponsor, Toast is pleased to offer its restaurant customers the opportunity to officially participate in Small Business Saturday. The second annual Toasty Awards kick off in January 2019. Honoring the Toast restaurant community, winners are honored in three award categories to be announced in January. See hereto learn more about how and when to nominate your favorite establishment within the Toast restaurant community. A new marketing partnership between GP PRO’s Dixie® brand and Sterno® Delivery, aims to impact the growing home food delivery market. The partnership stems from increasing consumer demand for off-premise dining combined with heightened concerns among consumers and foodservice operators over off-premise food safety and quality. Off-premise dining is a well-documented and popular trend within the restaurant industry. According to food industry research group Technomic, food delivery is projected to grow 12 percent per year over the next five years. Already, the group notes that 86 percent of consumers use off-premise services at least monthly. But not all food travels well, which can affect its safety and quality. Through cross-promotion of the two industry-leading brands’ products within the restaurant delivery space, the Dixie and Sterno Delivery marketing partnership can help create a better, safer delivery experience. The marketing partnership between Dixie and Sterno Delivery will help drive market awareness of each brand’s delivery products within the self-delivery restaurant space, including limited-, quick-, and full-service establishments, and promote the benefits to be gained by using Dixie disposable containers inside Sterno Delivery insulated food carriers. LBP Manufacturing LLC (LBP) acquired Dominion Packaging’s Quick-Service Restaurant business (Dominion QSR), a producer of folding cartons to national QSR brands. Financial terms of the transaction were not disclosed. Restaurant intelligence platform Yumpingo and POS integration platform Omnivore have partnered to offer full-service restaurant operators key insights into server, menu and shift-level guest reviews. Linking Yumpingo’s guest feedback technology offering with Omnivore, which integrates third party technologies to a restaurant’s POS (Point of Sale) system, gives restaurant operators access to real-time guest feedback to better inform staff management, product development and marketing efforts. With Omnivore’s POS integration, guests receive their bill digitally on Yumpingo’s device, which replace traditional check presenters, with an invitation to complete a one minute review at the end of the experience. The resulting information provides operators complete certainty of how to optimize customer satisfaction across brands at location, shift, server and dish level in real-time, giving managers specific feedback on quality of service immediately during a shift. Restaurants using the Omnivore and Yumpingo platform can also streamline menu development and adjustments thanks to guest feedback and detailed analytics provided through the integrated technology. Chefs and menu development teams can look to specific feedback on any dish to identify what guests enjoyed, or didn’t, and exactly how the guest felt the dish can be improved including temperature, presentation and more. Operators can likewise identify gaps in delivery of the overall guest experience be it through steps of service, atmosphere or individual server performance. Yumpingo, a UK-based company, recently launched in the U.S. announcing an engagement with TGI Fridays, having worked with a number of the biggest restaurant names in Britain since its launch in 2017. ParTech, Inc. (PAR), released PAR IoT, a cloud-based system that enables 24×7 remote monitoring of key capital investments with near real-time alerting for temperature failures and power disruptions. The system components consist of various sensors that collect crucial data, gateways to transfer data to Cloud Servers, and a web portal for system setup, reporting and alerting for action when specific programmable states exist. The solution ensures critical temperatures are regularly captured and monitored in kitchens, serving areas, storage and holding areas. Originally introduced in 2009, SureCheck is supporting some of the world’s largest companies to improve food safety and operational efficiencies in thousands of food service locations, with more than 35 million observations a month. “Food Service organizations are looking for ways to maximize food safety efficiency and assist in managing operational costs. PAR IoT was built to achieve this by allowing real-time monitoring and alerting when important devices/equipment are out of compliance,” said Dr. Donald H. Foley, PAR Technology Corporation President & CEO. Kentucky Fried Chicken® introduced Kentucky Fried Chicken & Waffles, available for a limited time only. The limited time offer menu item, Kentucky Fried Chicken & Waffles, perfectly pairs KFCs Extra Crispy fried chicken, with scrumptiously thick, Belgian Liege-style waffles. "Our famous extra crispy, savory fried chicken atop a Belgian Liege-style waffle, with the finishing touch of classic Mrs. Butterworth's syrup, makes for a scrumptious dish I'd put up against versions at upscale restaurants, but we're offering it at a price just about anyone can afford. 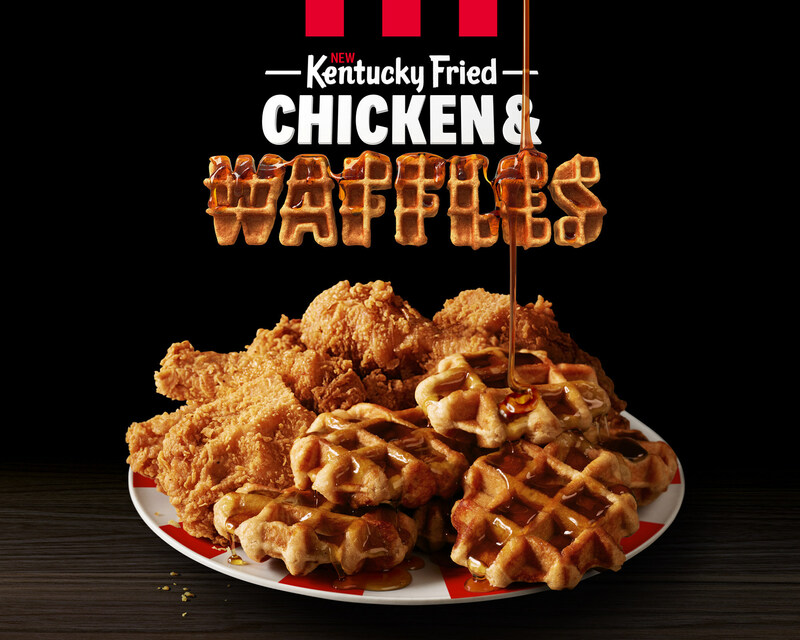 And it can be enjoyed at KFCs across the country for brunch, lunch or dinner," said Andrea Zahumensky, Chief Marketing Officer, KFC U.S.
"When we decided to create Kentucky Fried Chicken & Waffles, we knew we had to make it really special," said Bob Das, Head Chef for KFC U.S. "As the fried chicken experts, we had the chicken part covered. We went through 15 different variations before landing on our unique Belgian Liege-style waffle, which is sweeter and doughier than American-style waffles. The two combine seamlessly to create an extra delicious dish that KFC fans will love." Through December 31, Kentucky Fried Chicken & Waffles is available at KFC's nearly 4,200 restaurants spread across every state in the U.S.
Carnival Cruise Lines' Carnival Radiance will be the first cruise ship to feature "Big Chicken," a seagoing version of a new restaurant created by the line's Chief Fun Officer, NBA Hall of Famer Shaquille O'Neal. The menu will feature a mouth-watering variety of fried chicken sandwiches and fries, with flavors to match Shaq's larger than life personality, all free of charge. O'Neal opened his first land-based Big Chicken restaurant in Las Vegas in late October. The seagoing adaptation Big Chicken aboard Carnival Radiance will be among the many food, dining and entertainment innovations incorporated into the 102,000-ton ship following a $200 millionr efurbishment in Cadiz, Spain, in 2020. "Shaq has brought so much to our brand as Chief Fun Officer and we are always looking for ways to expand on this wonderful relationship and provide our guests with new ways to Choose Fun," said Christine Duffy, president of Carnival Cruise Line. "Knowing his passion for food and fun, we're thrilled to work with Shaq to bring the first Big Chicken at sea aboard the totally transformed Carnival Radiance." Big Chicken is among the many new culinary and beverage offerings that will be available on Carnival Radiance when it debuts in 2020. Other outlets include Guy's Pig & Anchor Bar-B-Que Smokehouse developed by Food Network star and longtime partner Guy Fieri, a classic American steakhouse called Fahrenheit 555, the Cucina del Capitano family-style Italian restaurant, and the Caribbean-inspired RedFrog Pub.